The university hires four alums to work in admissions this year. 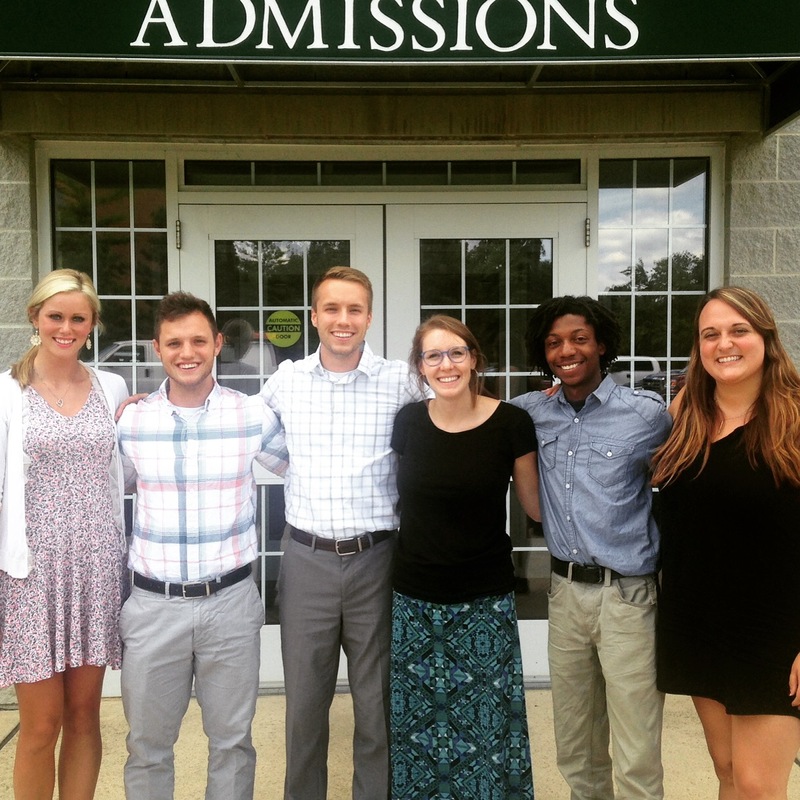 Four new faces comprise the admissions team for the 2016-2017 academic year. Kelsey Kruse, Jacob Johnson, Nicholas Harmsen and Christian Washington were hired by the university as admissions counselors. While they’re new to being on staff at the university, they aren’t new to HU — all four new hires are alums. The admissions staff is responsible for assisting prospective students in the college-attending and future decisions. Kruse said she enjoys sharing the impact the university has had on her life with others, which is a bonus that comes with the job. Nick Harmsen, who also serves as the assistant men’s soccer coach, primarily works with transfer students, traveling to community colleges and speaking with transfer students who are looking to make HU their new college home. Harmsen said he “experienced growth spiritually, academically and professionally” when he was an undergraduate and graduate student at the university. This is why he said he wanted to be involved with admissions —to help students have as impactful of a time at the university as he did. Jacob Johnson said one of the reasons he applied for a position as an admissions counselor was because of his personal experience at the university. “I remembered my admissions counselor, Sarah Diehl, and how much she helped [me] figure out if HU was the right fit or not,” Johnson said. He said his love of the university, along with the love to help people, are key reasons why he applied for the job. Christian Washington said after completing his undergraduate and graduate degree, he “came to love higher education in general,” leading him to apply for admissions at his own alma mater. Washington said he travels in and out of the state, recruiting students, as well as helping coordinate visit days on campus. Watson said she likes that the new hires all come from different backgrounds and have different majors. “We have a really good, diverse team,” she said. She said this diversity among the admissions team will allow them to connect with prospective students, hopefully allowing those students, in return, to connect with the university.